Oft compared to singular artists such as Nina Simone, Beth Gibbons and Elizabeth Fraser, Chloë March follows her own independent path, writing, engineering and producing from her home studio in south-east England. Inhabiting musical territory somewhere between art song and folk, dream-pop and electronica, the ambient and the cinematic, March embraces all these influences to create poetic, emotionally charged and intensely atmospheric songs and soundworlds. Following on from her 2017 solo release Blood-Red Spark, and her recent collaboration with labelmate Todd Tobias, Amialluma, ‘Snow Bird’ is a luminous winter song, gently hypnotic and hopeful. 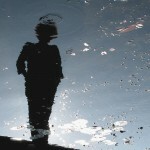 The track melds dream pop and found sounds of birdsong to create a crisply detailed emotional landscape, inhabited by March’s uniquely emotive vocal. 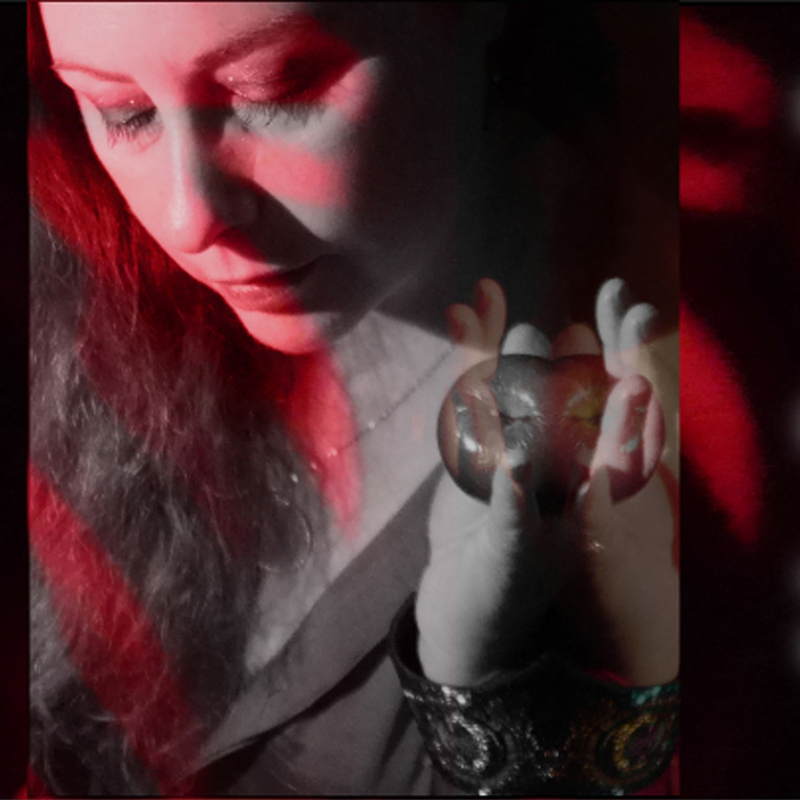 In her fourth album, Blood-Red Spark, March continues her exploration of a rich musical seam in which songwriterly storytelling and imagistic soundscape meet. Beautiful ambient/electro-pop soundworlds of warm spaciousness and radiant sensuality are underpinned by a compelling pulse – a vital heartbeat of an album of emotional concealments and revealments, truth and trickery, loss, longing and desire. 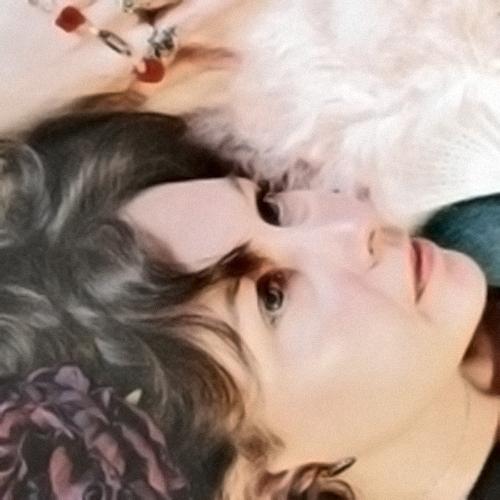 March leads the listener through an immersive multi-layered world of melodic twists and unexpected harmonic shifts with the confident songcraft of a composer happily at home with her own distinctive musicality, occasionally reminiscent of Goldfrapp, C Duncan, The Cocteau Twins or David Sylvian, using her voice as intimate centre point and textural instrument. The single ‘Let It All In’ is at the heart of this intimacy, distilling the emotional magnetism that March brings to all her work into an intense shot of magic and liquid melancholy. 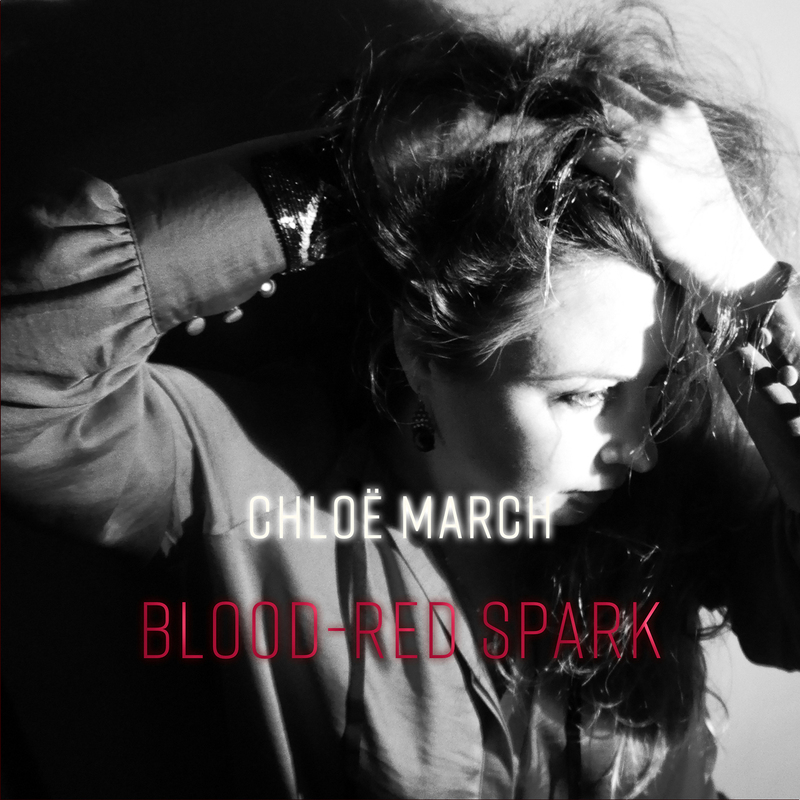 Blood-Red Spark is further evidence of an artist gathering her musical forces and transforming them into shimmering gold. The Orpheus Pavement is the new six-track EP by English artist Chloë March, featuring new song ‘The Orpheus Pavement’, along with two originals from her acclaimed album Nights Bright Days and three remixes (by Lvmark, Sam Atkin, and Chloë March). The Orpheus Pavement is dreamy, slow-motion pop music, pulsating with sensuality. Listening to the EP feels like surreptitiously ingesting laudanum and wandering half-dazed through a secret garden that’s slowly shifting and warping around you. As with so much of Chloë March’s work, it was inspired by the mythical – the largest Roman mosaic ever found in Britain, which depicts Orpheus charming nymphs, tigers and other creatures with his songs. In this instance, the story is just the start, as March’s compositions bloom from reverberating piano and voice into evocative soundworlds that contain multitudes. 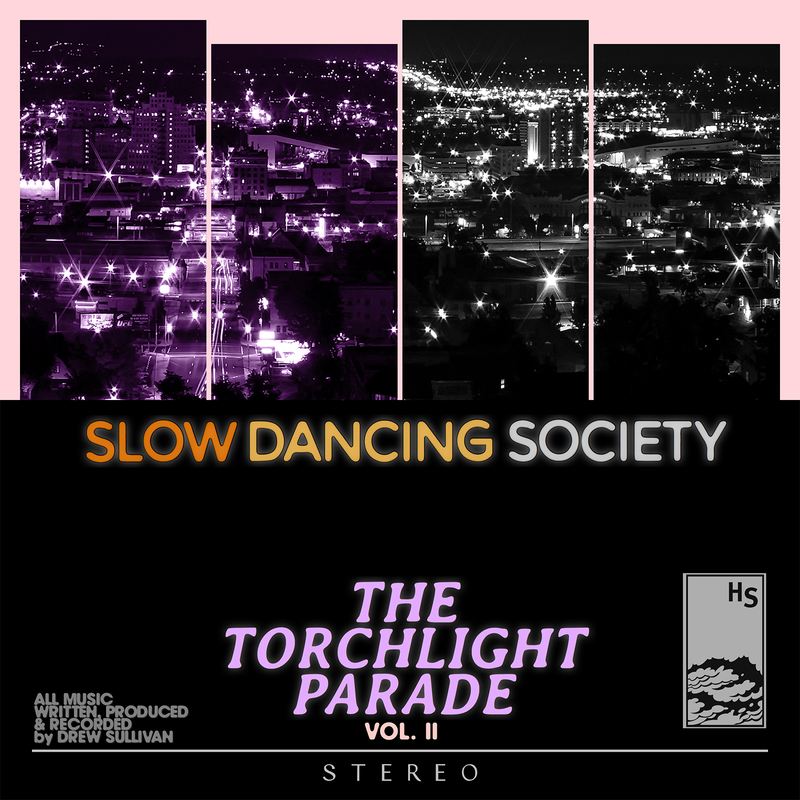 Two of the songs are further transformed by remixers Lvmark, Sam Atkin, and March herself, into shimmering refractions of their former selves. Lvmark is an electronic music producer hailing from Northern Sweden, drawing influence from the isolation and vastness of his homeland to create echoing electronica. Sam Atkin is a Fremantle-based ambient and experimental producer operating out of his shed-bedroom, who released his debut album Gently, Quietly in 2015 through Workplace Safety CDRs, and has been keeping it slow and sad ever since. Although often compared to singular artists such as Nina Simone, Beth Gibbons and Elizabeth Fraser, Chloë March follows her own unique path, writing, engineering and producing from her studio in south-east England. Inhabiting musical territory somewhere between art song and folk, dream-pop and electronica, the ambient and the cinematic, March embraces all these influences on Nights Bright Days to create poetic, emotionally charged and atmospheric songs and soundworlds. Four years in the making and originally self-released in 2013, Nights Bright Days is a cycle of songs as dreams, imbued with imagery of darkness and light, night and day. The album embraces elements of jazz, classical, folk and dream-pop, and features guest musicians on bass clarinet, soprano sax, French horn and guitar. Nights Bright Days features single ‘Winter Deep’, a shimmering waltz that opens the album with weightless grace.The Hidden Shoal re-release also includes the bonus digital EP Under The Day which features six previously un-released tracks. A set of daydreams that form a miniature B-side to the album Nights Bright Days, this is a collection of six songs including the piano ballad ‘May’ and the dream-folk synth/harp reverie for the oldest tree in Kew Gardens ‘Old Tree, Mon Coeur’ that garnered Chloë Soundclouder of the Day earlier in 2014 – ‘Dreamy voice… A magical atmospheric song’. The new songs on this EP include ‘Ballooniad’ inspired by tales of the early Balloonists lifting off from coastal cliffs, a dreamily buoyant track tethered to a circling bass and ‘Big Tree Engine’ a minimalist reflection centred around deep jazz-inflected piano chords inspired by an ancient tree in central London. Chloë was commissioned to compose a score for the dance-theatre piece realPolitik, choreographed by Julie Hope and performed at the Michaelis Theatre, London in 2008. realPolitik was a re-working of The Green Table, a tanztheater piece created by German choreographer Kurt Jooss in 1932. The Green Table explored political corruption and the futility and horror of war. This modern version also concentrated on those issues, focusing on modern warfare and personal power-plays between characters. 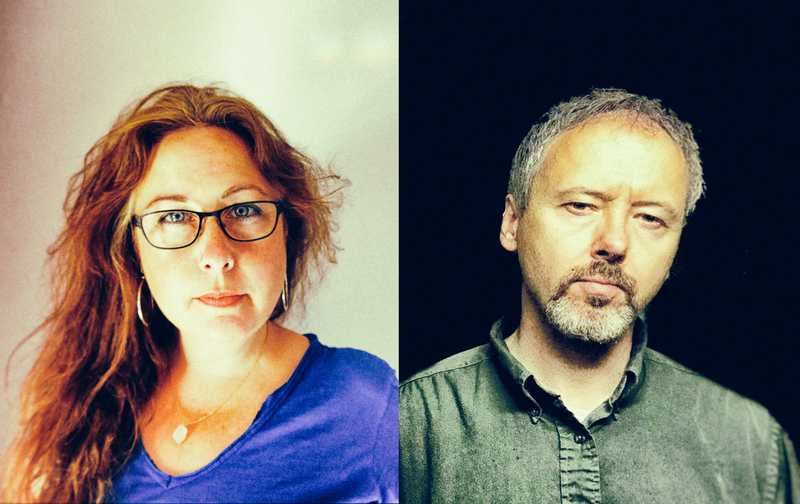 Inspired by composers such as Walton, Weil and Stravinsky, Politik mixes orchestral drama with intricate and atmospheric electronica and weaves texts from A. E. Housman and Jonathan Swift into the score as spoken word elements. Highly atmospheric and emotionally involving, Politik offers an evocation of the 1930’s era of the original piece with a dynamic contemporary twist. Garden On The Boulevard is a collection of six songs that includes tracks inspired by boulevard cafés and old cameras, lost love and seductive glamour, the dawn chorus, mythical bees, ghosts in the garden and frozen lakes. Chloë spent three years writing, recording and producing her second album Divining (2008). 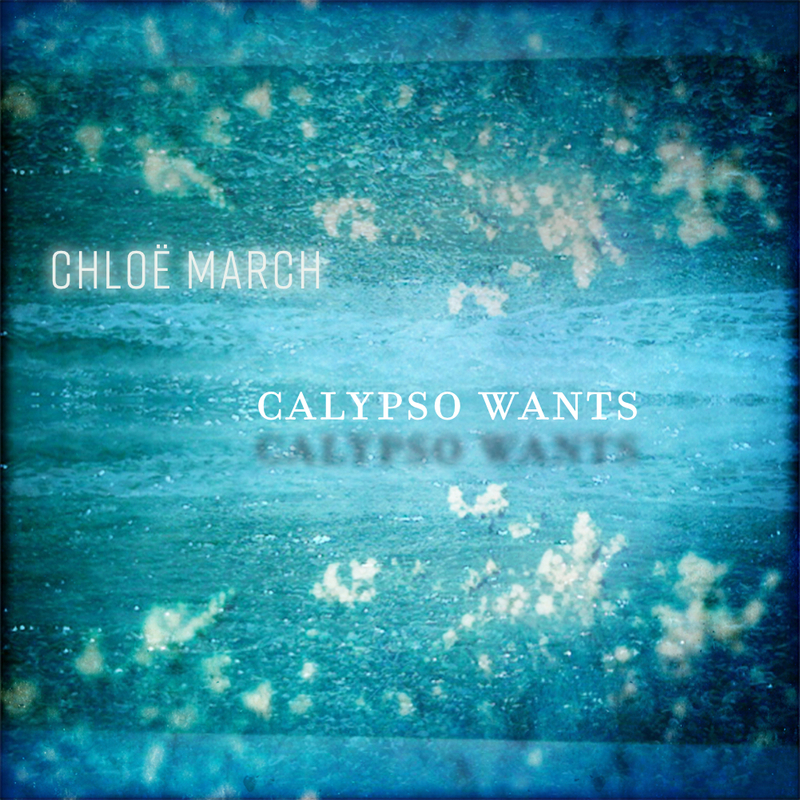 Inspired by water and featuring Chloë’s trademark poetic lyrics and immersive, cinematic soundworlds, Divining journeys through immersive sensuous soundscapes including a decaying Venice, a lament for Anne Boleyn, nostalgic sunlit reveries, tales of sadistic sculptors, grieving wolves and dark seas of love and loss. With the piano at it’s heart and interweaving french horn, strings, marimbas and found-sounds including wind-chimes, paper and grass, this is a meticulously and lovingly-crafted album with a haunting, melancholic undertow. 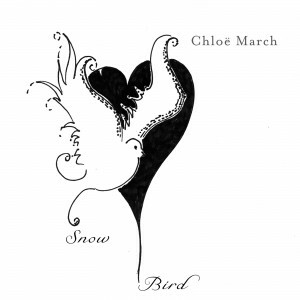 Chloë March has always lived a life with music at its heart. She grew up as part of a musical family, with both her parents musicians at the Royal Shakespeare Theatre. Her mother’s daily practice of playing Chopin, Beethoven, Debussy and Schumann pieces on the piano was the soundtrack to her young life, and March began piano lessons aged four. 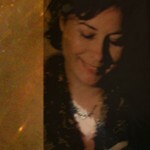 Later, after her parents divorced, songwriting and improvising on the piano became vital to her. Her early life was steeped in classical and jazz, with raids on her siblings’ record collections revealing wondrous new worlds created by Kate Bush, Pink Floyd and Joni Mitchell, which led to the discovery of David Sylvian, the Cocteau Twins and Steve Reich, all of which influenced her own music. Playing in bands with her brother and spending time in his 8-track home studio sparked a passion for recording, particularly for building up soundscapes with the texture and depth of multi-tracking. This early experimentation forged a determination to be in control of her own recording at home, with her current digital set-up only occasionally disrupted by her cat, musicologist partner, and various guest musicians. March’s long, slow discovery of her singing voice has been an odyssey of sorts, gradually finding the confidence and freedom to reveal a jazz-inflected alto that has been variously described as “absolutely charismatic”, “mesmerising” and “luminous”. 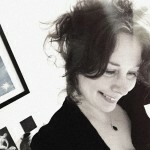 Inspired by myth, history, fairytales, books, film and the sensuality of the natural world, with an obsessive attention to detail and a desire to create intensely atmospheric and emotionally truthful music, March has been recording and producing her own music since she released her second album Divining in 2008. Prior to Divining, she toured the UK and Italy as keyboard player with the band Cousteau, released her first album Snowdrop in 2004, and composed for theatre and dance, including the 40-minute electro-orchestral soundtrack Politik. March has also worked with German ambient producer Jumpel, singing on his 2010 single ‘Edinburgh’ and four songs on his 2013 album Bloc4. 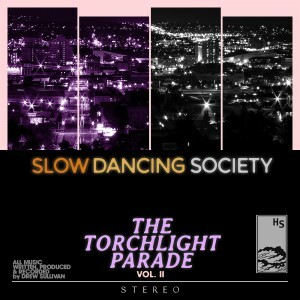 Her latest album, and her first for Hidden Shoal, Nights Bright Days, has been four years in the making. It was initially inspired by the night and metamorphosis, and became a cycle of songs as dreams, imbued with images of darkness and light. The album embraces jazz, classical, folk and dream-pop influences, and features guest musicians on bass clarinet, soprano sax and guitar. We’re proud to announce the official release of Amialluma, the stunning new collaboration between Todd Tobias and Chloe March. The album is available now via both the Todd Tobias and Chloe March Bandcamp pages, Tiny Room Records as well as all good 3rd party stores (iTunes, Spotify et al). This music is available for licensing across film, tv, games, web and beyond. Hit us up for more info. 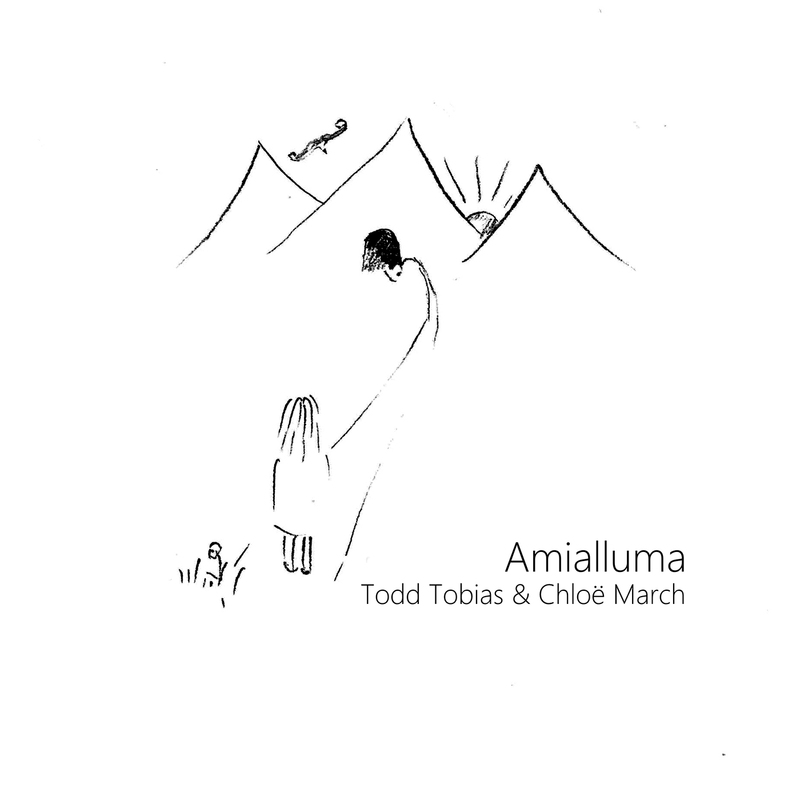 After a number of track collaborations on Todd Tobias’s 2015 album Gila Man, Chloe March and Todd Tobias have joined forces on their new full-length, Amialluma. Dwelling in a mysterious hinterland somewhere between Cocteau Twins’ seminal Victorialand and The Caretaker’s Persistent Repetition of Phrases, Amialluma dances between the earthly and heavenly. Chloe March’s celestial voice shines a light through Todd Tobias’s dark, fantastical soundscapes, resulting in a sublime, uncanny experience that enraptures and unsettles in equal measure. Through a process of improvisation sparked by the emotive power of Tobias’s music, March developed a lyrical world of word-invention sung into archaic lullabies and tales. The lyrics centre around a child’s journey from the safety of its mother’s arms through an ancient, shadowy world. 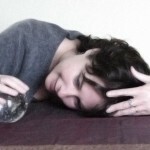 Overcoming fear and meeting with otherworldly guides, the child finds independence and reveals a deep connection with nature. 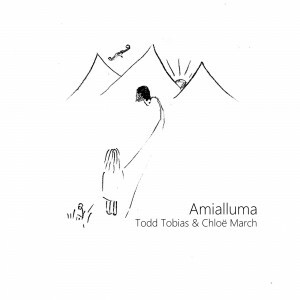 Todd Tobias & Chloe March‘s stunning new opus Amialluma has just landed in the CFUV top 30 and is also sitting pretty at 8 on their electronic chart! The album sees release on the 4th of September with the first single ‘Lallulow’ available to stream via SoundCloud. 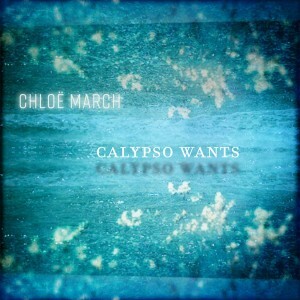 Check out the new lyric video for the utterly gorgeous Chloe March single ‘Calypso Wants’. The track is lifted from her latest sublime full length Blood-Red Spark. “If there’s one word that describes Amialluma, a thoroughly enrapturing collection by English vocalist Chloë March and American instrumentalist Todd Tobias, it’s bewitching. It’s not the first time the two have joined forces, March having earlier guested on his 2015 set Gila Man, but it is the first time they’ve shared equal billing on an album—a fitting gesture as both of their contributions are integral to the musical outcome and its narcotizing effect. Known for his work with Guided by Voices, Tobias is the less familiar textura presence of the two; March, on the other hand, has been mesmerizing us with her vocal gifts and atmospheric songcraft for many years now, most recently with her superb solo outing Blood-Red Spark. One thing about Amialluma in particular merits immediate mention, that being the duo’s decision to have March sing newly invented words in place of a known language—a critical and brilliant choice, critical in allowing the music to sever any and all connections to real-world content and relatedly brilliant in bolstering the ethereal, dream-like character of the music. Yes, the move does understandably invite comparison to a similar approach adopted by Cocteau Twins, yet Amialluma never feels derivative or as if the duo’s following a path laid out by another. Amialluma carves out its own distinct and self-contained space, one deeply celestial in tone. 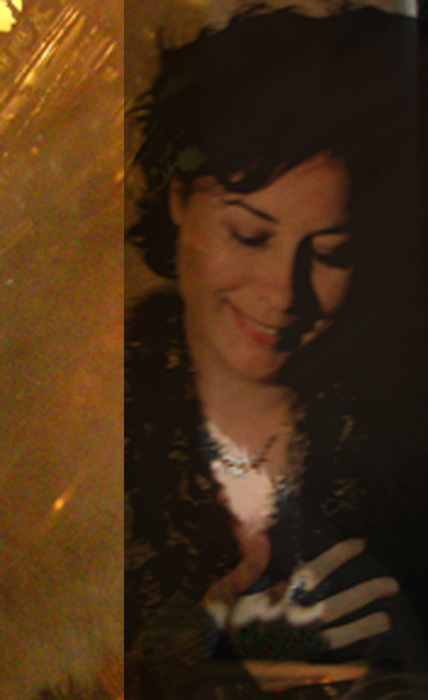 Tobias’s gauzy, keyboards-based soundscapes sever earthly ties from the moment “Lillavva” establishes the album’s heavenly aura, which is bolstered even more when March’s soft, sensual utterances appear; the aptly lulling “Ma Leila Lulla” and serene closer “Cherra Leilahi” drift like gently floating clouds of choral whispers and fragile vocal musings. In some cases (e.g., “Shehehs”), Tobias’s ambient soundscaping exudes a brooding, industrial-ambient quality that suggests darker spaces have been entered, a quality that March naturally responds to in kind. She’s in exceptionally fine voice throughout, and demonstrates remarkable invention and a bold absence of inhibition in the myriad vocal effects—coos, stutters, trills, and the like—she drapes across her partner’s backings. 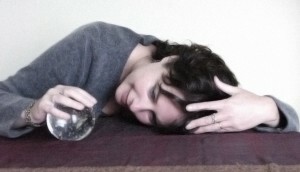 In “Lallulow,” she metamorphs before one’s ears from a human form into something more abstractly creature-like, whereas “Inttavei” sees Tobias crafting a mysterious minimal backdrop for her to emote against, the singer responding to the sound design with upward swoops and entranced murmurings. If there’s one word that describes Amialluma, a thoroughly enrapturing collection by English vocalist Chloë March and American instrumentalist Todd Tobias, it’s bewitching. It’s not the first time the two have joined forces, March having earlier guested on his 2015 set Gila Man, but it is the first time they’ve shared equal billing on an album—a fitting gesture as both of their contributions are integral to the musical outcome and its narcotizing effect. Known for his work with Guided by Voices, Tobias is the less familiar textura presence of the two; March, on the other hand, has been mesmerizing us with her vocal gifts and atmospheric songcraft for many years now, most recently with her superb solo outing Blood-Red Spark. Text in the accompanying press release suggests that a narrative of sorts was conceived for the release involving a child’s journey from the safe haven of its mother’s care through shadowy realms that are eventually overcome. Truth be told, I’d rather pretend no such narrative exists in order to allow the music to most deeply inhabit its own enigmatic space sans grounding in conventional human experience. March’s voice and Tobias’s music together communicate perfectly well on their own self-defined terms, and no real-world representational anchor’s needed to enhance the presentation. “For some years now the paths of Chloë March and Todd Tobias had come to cross the respective elliptical trajectories, united by the creation of imaginary soundscapes but both very heterogeneous and unpredictable. Their collaboration finds for the first time organic results in the form of a fully shared album, which given the profile of the two artists can not but arouse curiosity about the point of balance they have identified between their respective complex expressive profiles. Well, “Amialluma” does not disprove expectations, dispensing along all its ten tracks the facets of an imaginary microcosm, brushed by the two artists making extensive use of improvisation, in particular that of the enchanted vocalizations of Chloë March. Drawing on the more ethereal and dreamy side of his expressiveness, the German artist elaborates a sort of angelic cantilery made up of pure harmonic essence, so as to renounce any form of substantial meaning, according to a modality that inevitably refers to the Cocteau Twins. However, affinity also lends itself to the atmospheres on which they lie, resulting from intricate textures, which amplify their dreamlike nature through fluctuating synthetic layers, modulated reverberations and a changing blanket of microsubes. Chloë March’s music is available for licensing (master & sync cleared) through Hidden Shoal. Please contact us with some basic details about your project and the track(s) you wish to use and we’ll be sure to get back to you straight away.